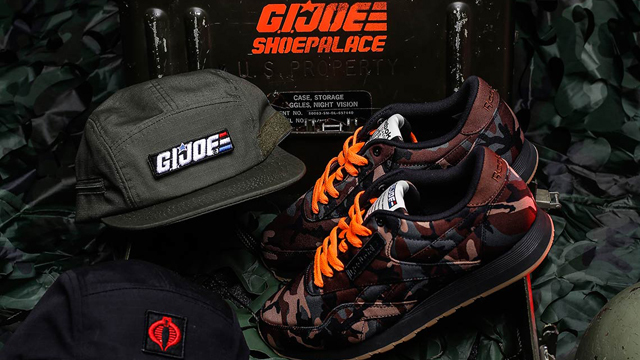 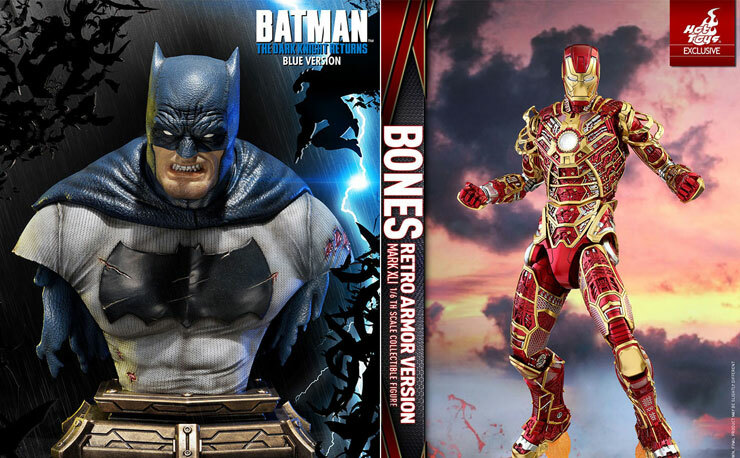 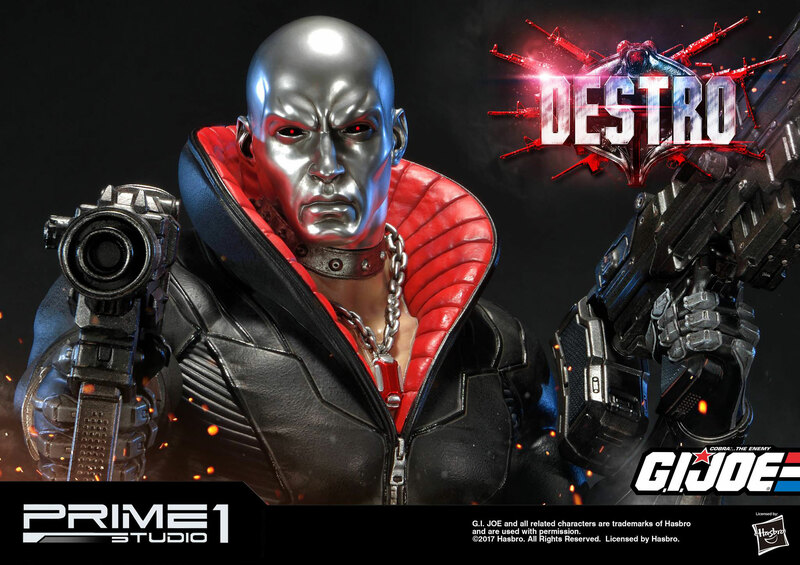 Prime 1 Studio continues to unload some stellar statues for fans of G.I. 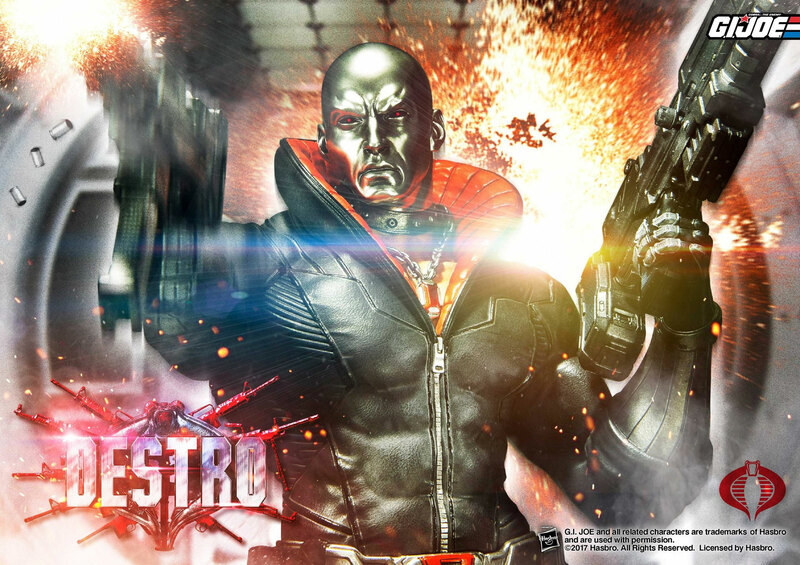 JOE with the arrival of Destro that’s now available for pre-order. 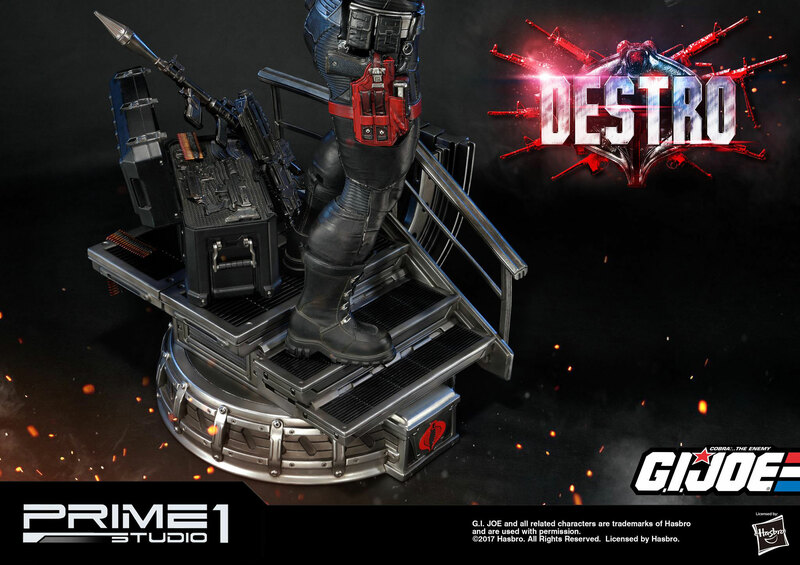 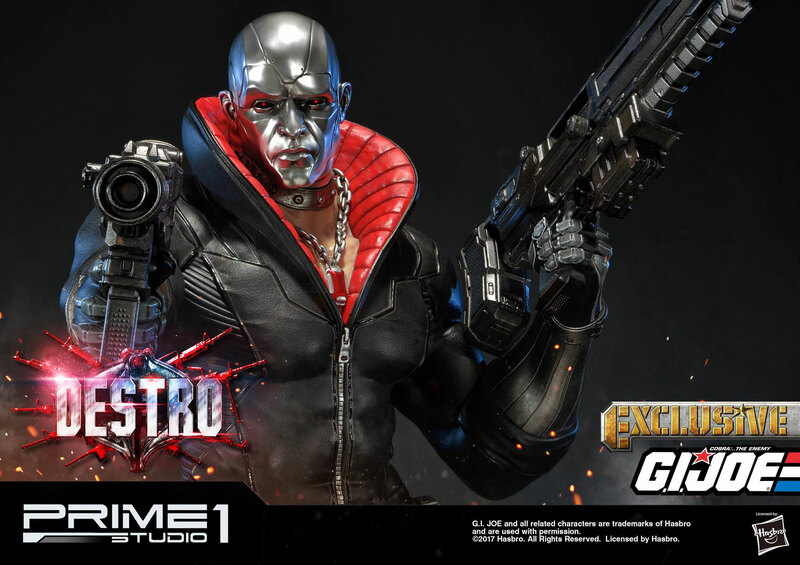 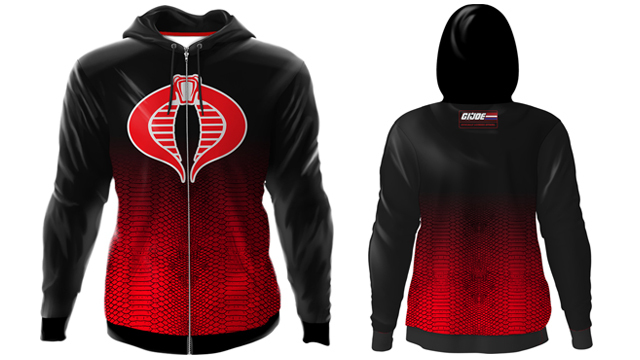 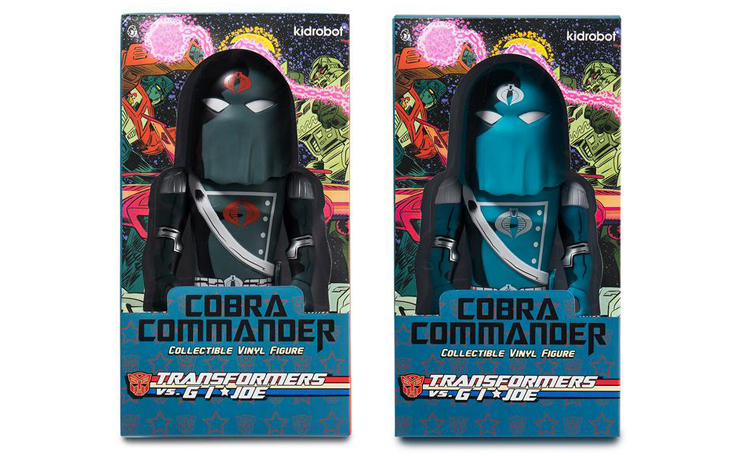 Joining Snake Eyes, Storm Shadow and Serpentor (as well as Scarlett and Cobra Commander which also appear to be on the way), this Destro statue captures Cobra’s silver-headed weapons supplier in premium style, complete with Cobra branded stand that’s covered in all kinds of ammunition and weaponry. 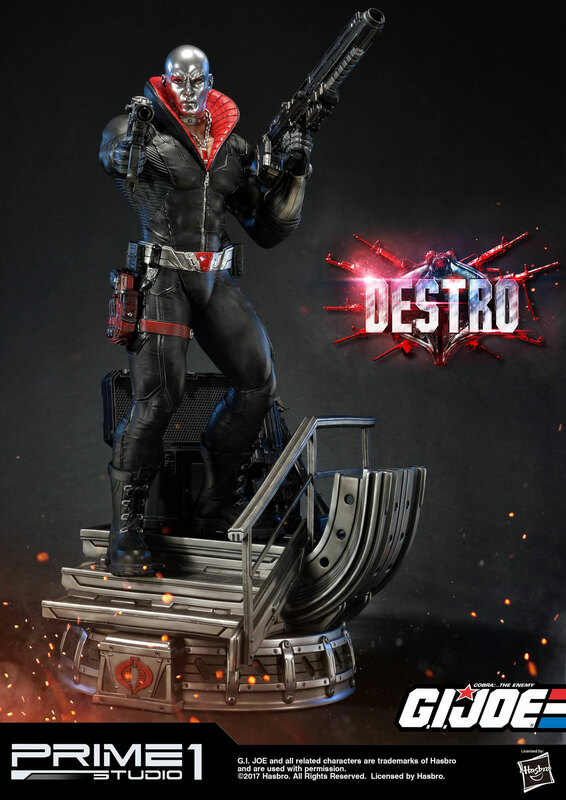 The statue stands approximately 27 inches tall and is expected to ship in the first quarter of 2019. 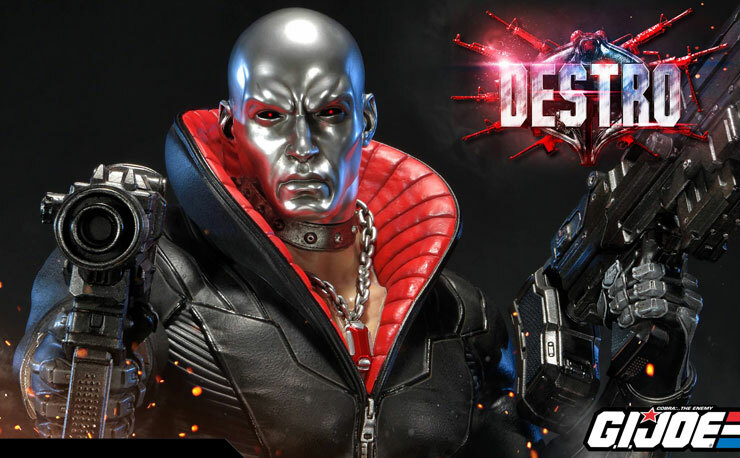 Click here to check out more images or pre-order this Destro statue by Prime 1 Studio.